As we have been communicating for the last month, we’ve noticed an increase in the volume of phishing attacks and malware scams. This is an industry-wide problem for business software, online banking and other websites. Our security team has been tracking a small number of incidents—the result of phishing attacks, where a handful of Xero usernames and passwords have been obtained—we recommend that Xero users update their anti-malware (anti-virus, anti-spyware), and change their passwords. Our team is continuously looking for patterns of malicious activity and will notify users when we believe there to be a problem – much like when your bank contacts you if they believe your card has been used fraudulently. We have been building in additional system controls to give our customers further protection against such incidents. For example, on your Xero dashboard you can check when you last logged in, and the location of those logins, including IP address. 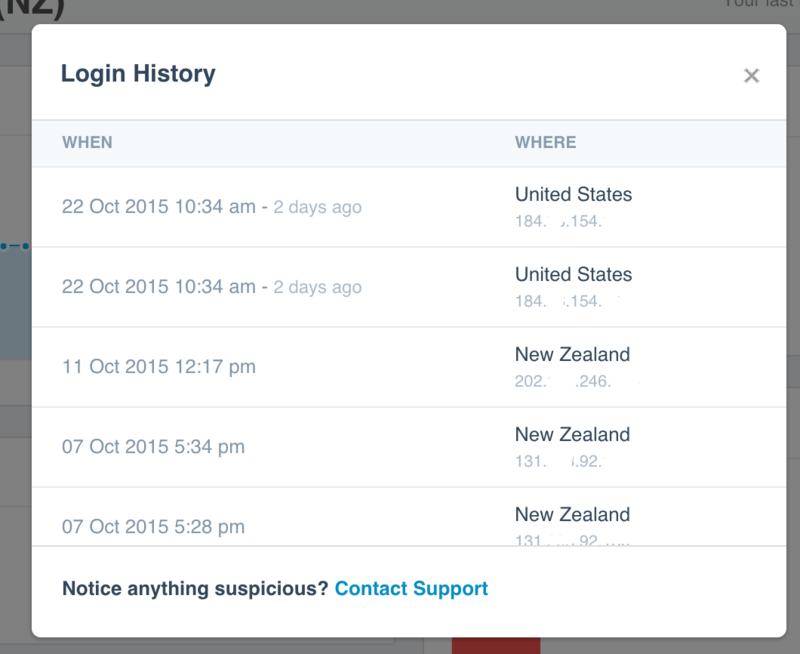 If you don’t recognize the location or date of the last login, please contact customer support: phishing@xero.com. When you click on the link you can see when and where you last logged into Xero. Maintain excellent password hygiene. Never share a password. Always use a complex password. And change your password regularly. Be aware. Phishing emails are a common way to trick you into disclosing data. If it looks even in the slightest bit unusual – don’t click it. A number of you checked in with us first before clicking on the links in the email you received yesterday, which is good practice if you are uncertain about the legitimacy of an email. Use reputable anti-malware (anti-virus, anti-spyware) software on all of the devices you use and keep this updated with the latest signatures. Also ensure your operating system and applications are kept up to date with the latest security patches. You can find further tips here to ensure your sensitive data remains secure. Security is a key focus for us at Xero. We’ll continue to share our security updates and best practices with you. The post Security Update and Password Management appeared first on Xero Blog. What’s the big technology that’s going to change the world in 2019? It’s humans.